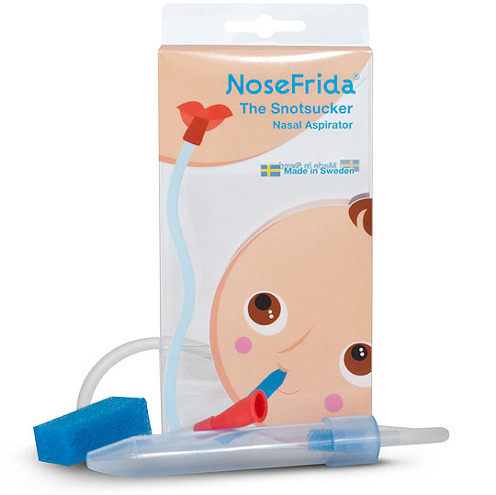 The best snot cleaner-upper, the Snotsucker Nasal Aspirator is developed in Sweden, is doctor recommended and perfect for your little ones nose. This noninvasive, BPA and Phthalate-Free Nasal Aspirator is designed to gently pull the nasal drainage from your little one’s nose and safely. Nosefrida The Snotsucker was created by doctors for use by parents to easily and mildly remove yuck from baby’s nose. Keep your infant and toddler snot-free with this doctor-recommended Snotsucker from Frida Baby.